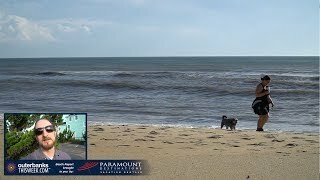 Sitting on the beach and playing in the ocean are fun ways to pass time on your vacation, but with all the activities and attractions on the Outer Banks, why limit yourself to one place? 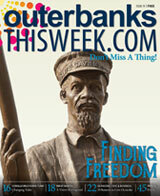 Outer Banks things to do let you play on land or out at sea, and there are ways to play every day of the week. It is true that many Outer Banks things to do cost money, but that shouldn’t affect your ability to enjoy them. Coupons for Outer Banks activities are your tickets to entering this world of fun. With the great deals you’ll score with these coupons, you and your crew can try new things every day. Coupons for Outer Banks things to do turn ordinary days into extraordinary ones. Want a feeling of adventure? Go hang gliding or parasailing with one of the local adventure companies. See those who’ve been on the Outer Banks longer than any of us -- the wild horses and dolphins -- in their natural habitat when you go on dolphin watches and horse tours. Experience the area’s art culture when you use coupons for Outer Banks activities to score you reduced prices on admission or even free tickets. These coupons can be used as percentages off activities' total prices, dollars off the total on certain days of the week or for certain aged customers, giveaways or discounts if you do the same activities repeatedly (we wouldn’t blame you if you did!) and more. This page is updated as businesses offer new specials or rotate their coupons with the days of the week, so be sure to check back frequently. The best part is that Outer Banks things to do coupons are super easy to use; you can print them out or just pull them up on your Smart phone to show clerks when you check out. Start browsing the coupons available today, and get ready for a fun-filled vacation.